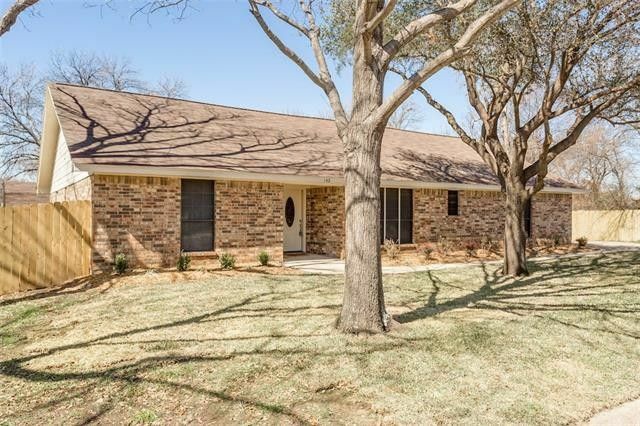 Completely remodeled single story in the heart of Keller. Walking distance to Old Town Keller. Large storage building, extra parking and new flooring throughout the home. Kitchen has all new granite, appliances and cabinets. Bathrooms have new tubs and showers. All lighting and fixtures throughout the home have been replaced. New roof 2017. Directions: Take I-35W N. Golden Triangle Blvd exit, EXIT 64, toward Keller-Hicks Rd. Right onto Golden Triangle Blvd (FM-1709). Continue to follow FM-1709. Right onto S Elm St. 1st left onto E Vine St. 3rd left onto Austin St. 142 Home is on the right.